Dementia itself is not a disease – it’s actually caused by lots of different diseases. The word ‘dementia’ is just an umbrella term for the symptoms caused by these diseases such as memory loss, confusion and personality change. Alzheimer’s disease is the most common cause but other dementias include vascular dementia, dementia with Lewy bodies and frontotemporal dementia. Dementia is not an inevitable part of getting older – while it’s true that the majority of people with dementia are over 65, the condition is not a normal part of getting older. The likelihood of developing dementia rises with age, but it’s not a given that an older person will develop it. In the UK over 40,000 people under 65 have dementia. Dementia is more than just memory loss – the condition affects people in a wide variety of ways, such as changes in behaviour, confusion, disorientation, delusions, difficulty communicating, problems judging speeds and distances and even cravings for particular foods. 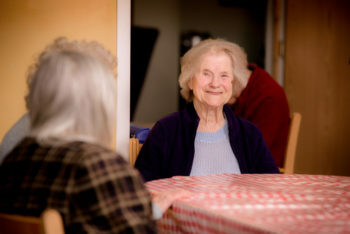 It’s possible to live an independent and active life with dementia – there are many people in the UK who are facing dementia head on by developing support mechanisms and strategies to live as well as possible with the condition. That includes anything from taking up new hobbies to making new friends . Dementia has a bigger impact on women – with more women living well into their 80s, half a million women in the UK are now living with dementia. Women are also more likely to take on unpaid caring roles for other people with dementia and are twice as likely as men to provide intensive, 24-hour care. Dementia is a global issue – it’s a common myth that dementia is only an issue in the western world. The largest increases in dementia in the next 20 years are in places like China, India and Sub-Saharan Africa. Dementia is a truly global health issue. Dementia doesn’t discriminate – dementia is a condition that can affect anyone regardless of background, education, lifestyle or status. There are no treatments to stop the diseases that cause dementia – while some treatments can help people to live with their symptoms a little better, there are no treatments that slow or stop diseases like Alzheimer’s. Investment in dementia research is still low – despite a welcome government focus on dementia, research into the condition still only receives around three per cent of the government’s medical research budget..